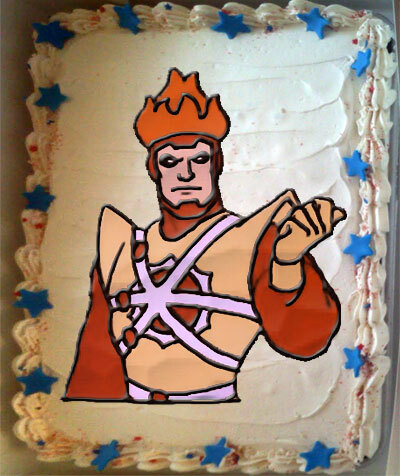 Happy Birthday Firestorm! Hard to believe you’re 36 years old today! You still seem like a teenager to us readers. 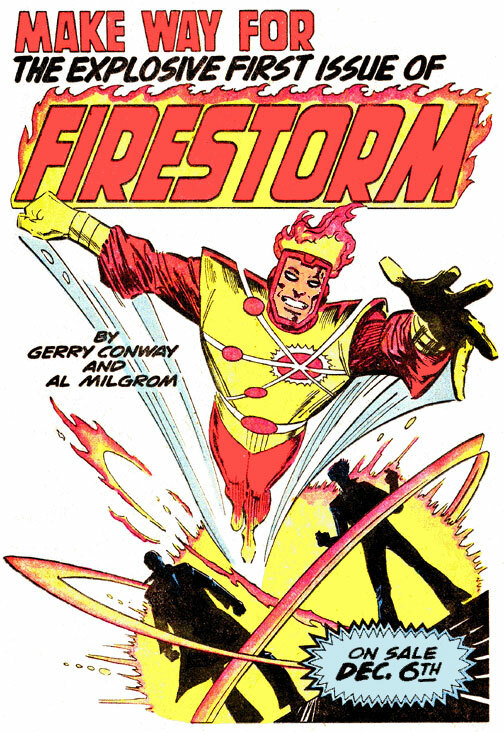 There is some dispute as to the exact release date of Firestorm’s first issue. The house ad above identifies the release date as December 6, 1977, however, Mike’s Amazing World of DC Comics (a fantastic and almost always accurate database) indicates the release date was December 5, 1977. Personally, I choose to go with December 6 because it appears on this really nifty advertisement. Somewhat frivolous logic, but that describes my typical judgement anyway. Happy Birthday to the Nuclear Man! Enjoy a big slice of cake today! My thanks to Gerry Conway, Al Milgrom, and Jack C. Harris for bringing you into this world! My thanks to Lil’ Chad Bokelman for reminding me of Match-head’s birthday today! Thanks, Chad! Support Firestorm (and sing him Happy Birthday)! Fan the flame! Posted in: Advertisements, Al Milgrom, Comic books, Firestorm #01: Original (Ronnie/Martin), Firestorm comic vol. I, Gerry Conway. ← Uh-oh, I think Firestorm is going to explode.. literally! Hard to believe that at 36 years old, Firestorm is still considered a “young” or “newer” DC character. But hey, ole Matchhead has had a good run in there, for sure. Damn, that cake looks good!